For someone who is accused of eating too many salads, I have never considered myself much of a vegetable gardener. I am happy to take advantage of other’s bounty and frequent local farmers’ markets. However, last year my family became involved with Capital Roots based in Troy, New York. If you visit a local farmer’s market and see their tent, or see the Veggie Mobiles around town, that is Capital Roots at work. Established in 1974 by Garden Way (former manufacturer of Troy-Bilt equipment), Capital Roots’ mission is to reduce the impact of poor nutrition on public health. Capital Roots offers a wide range of services, especially since opening the Urban Grow Center, its new headquarters and food hub (http://www.capitalroots.org/). 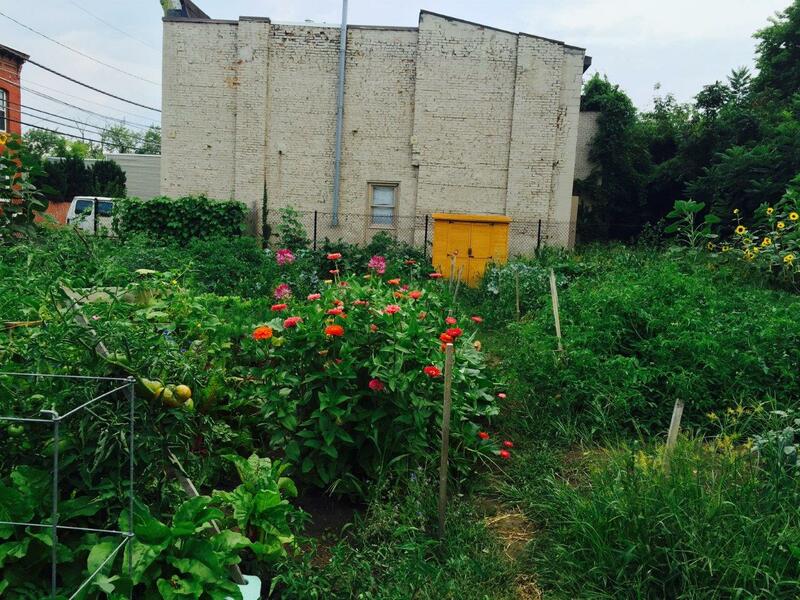 Food deserts exist throughout our area, and Capital Roots is working to educate and distribute nutritious food to communities where access is limited. In its new location, there is more cold storage along with sustainable technologies, such as a green roof and water reuse. In the next phase, hydroponic greenhouses will be added for year-round food production. One of the very cool programs is the year-round “Produce Project,” in which disadvantaged youth earn a stipend and school credit for operating three acres of farmland overlooking Troy. Learning to farm strengthens their school work too, as it takes math and science skill to raise crops. Not only does this provide income, education, and training, it is a safe haven and social center for the youth. 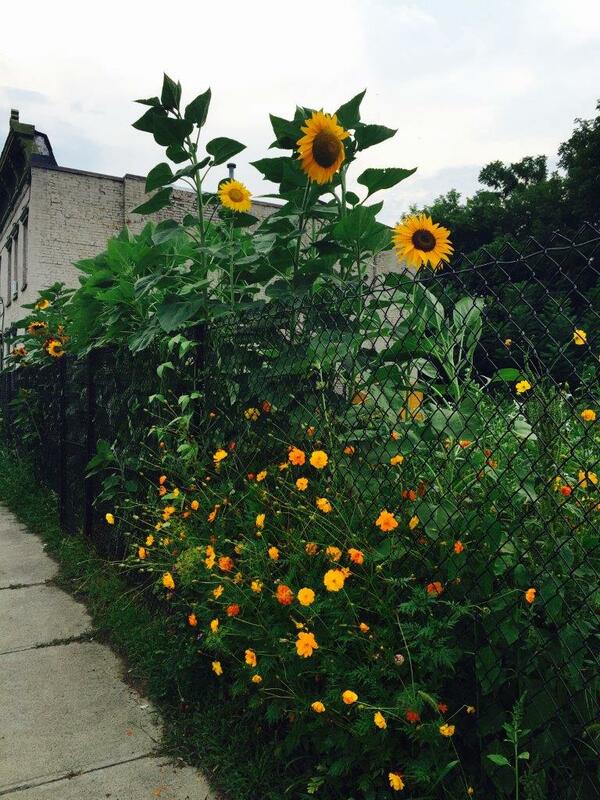 My family is involved with the Community Gardens project. We asked the Director what was on her wish list, and without hesitation, Amy said that there was a lot in South Troy that the neighborhood really wanted as a Community Garden. 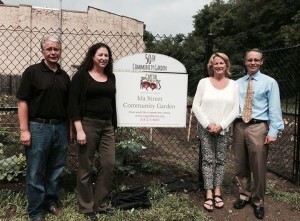 Located off 4th Street, near the canal, is the 50th Capital Roots Community Garden, dedicated on July 1 of this year. My family purchased the lot and donated it to Capital Roots, the City of Troy installed water, and a neighborhood family donated the fencing in memory of a family member. At the dedication, we were able to meet the neighbors who have garden plots share their stories of meeting people they had never known before while weeding, hoeing, and planting.